dog – Dutch goes the Photo! Welcome to the 142nd round up of the Tuesday Photo Challenge! The gentle introduction into 2019 in this week’s challenge came through with a blast! Your posts were fun to read as always, and I really enjoyed the variety of approaches! You included lots of gentle aspects of Nature, which are always enjoyable, the gentle charm that can surprise us in certain neighborhoods, and many other great topics! There were several that definitely put a smile on my face, gentle shampoo and all! Thank you all for being so creative and sharing from your lives! Have fun reading these posts and let one another know when you enjoy them! Sarah’s post in By Sarah starts things off this week with a gorgeous photo of one of the gentlest of flowers! In A Day in the Life, we are introduced to a gentle, feathered friend who loves a treat! This week’s entry in Willowsoul highlights the soothing, gentle flow of water over weary feet…no contest! This week, pensivity101 features one of the gentlest creatures: the lovely Maggie! In a great post in Une Photo, un Poéme, Nicole takes us to Padstow, Cornwall, where the store’s name is pretty gentle! Xenia’s first post for this week is in her wonderful blog, Tranature, where the gentle moss features large. Eivor and Pearl explore the Winter dawn in WhippetWisdom, with great photos and poetry! In a fantastic post in Chateaux des Fleurs, affection and love are featured beautifully! I think all of us can relate to the gentle shampoo that is so important in theonlyD800inthehameau; what a great photo! In Junk Boat Travels, Jackie takes us to Mazatlan, Mexico, where the gentle breeze might be very welcome! Cee’s photos in Cee’s Photography feature the gentle creatures that are Nature’s babies! In Don’t Hold Your Breath, this week’s entry is a wonderful post about the gentle charm of Enning Road, which feels like a throwback to the 1930s. Jase’s post in Proscenium features the gentle canine, which is really a wonderful friend, and has friends! Maria captured gentle human contact wonderfully in her photo in KameraPromenader; the bird touch is awesome too! In Pictures without Film, our bass-player captures a truly gentle landscape, stream and all! Sandy has a touching photo of birds in Out of my Write Mind, with which she combines a fantastic poem! Woolly introduces us to a gentle giant in Woolly Muses, which roams the African savanna. Liz’s quest toward One Million Photographs brings us to the most gentle of hippos, who can make a cup of tea! Olga brings us gentle memories in Stuff and What If…, as she is reminded of gentle breezes and lacy waves! Ann-Christine brings us in touch with her Winter friends with lovely photos in To See a World in a Grain of Sand. Debbie used the gentle light of the golden hour in her photos in Travel with Intent; they capture truly beautiful landscapes! Irene’s post in Heaven’s Sunshine capture the gentleness of dawn on the lake, which looks stunning! Brian regales us not only with a wonderful photo in Bushboys World, but also a great bit of poetry! Sanah’s lovely post in A Pause for Nature shows us the gentle flowers, which one cannot help by adore! Robert has a truly gentle photo of the noble grasses in Photo Roberts Blog, which is stunning! This week’s post in One letter UP – diary 2.0 talks of a family reunion and the gentle lake that welcomed all! Penny pens a tremendous poem in Penny Wilson Writes, inspired by the gentle Giant Swallowtail! In Land of Images‘ post, we explore one of the gentle constructs of Nature: the feather! In her post in the New 3R’s: Retire, Recharge, Reconnect, Marie shares a great photo of a man and his gentle friend! Susan does gentle twice in her Musin’ with Susan post, as her granddaughter is very gentle with the gentle little bundle! Debbie writes a wonderful post in Forgiving Connects, as she remembers the path to forgiveness after her mother’s death, and its importance to learning to love again. Anita features the gentle Fanny in her post in Anita’s Images, who wants to stay warm and likes to chase cats! Indira’s lovely post in Sharing Thoughts brings us some very gentle interactions! Khürt braved the cold, as we see in Island in the Net, and it paid off in a wonderful post that is filled with fantastic images! A gorgeous photo is at the center of this week’s contribution to our challenge in Photography Journal Blog; that is a stunning flower! Another lovely entry from sgeoil brings us some truly gentle flowers! Sonia talks about the ‘little’ reason for her wanting to be better every day in Sonia’s Musings; this is a very gentle reason! Welcome to Week 118 of the Tuesday Photo Challenge! Your responses to last week’s challenge theme of Treat were not only voluminous, but simply fantastic in quality! When thinking about the possible follow up to last week’s theme, I thought I’d look for a different treat! This week’s treat is not only in the theme, but also in its flexibility! Your challenge is to use the theme of Play in any way that you see fit! As it can be a verb or a noun, be on the stage or in the backyard, there’s plenty of playroom with the theme! So, play around with this theme, have some fun and let your creative minds wander about! I’m looking forward to what you might generate!! This is our old man, Darwin, who passed away last year. There’s nothing that Darwin like more than playing in water. For this photoshoot, I found a spot in the shallow stream, where it had a small cascade, so that I could stand lower than Darwin. With Darwin running towards me, it only took a couple of tries to get this happy, splashing shot! Our dogs truly are a part of our family! Unfortunately, they just don’t ever live long enough to keep us on the right path. 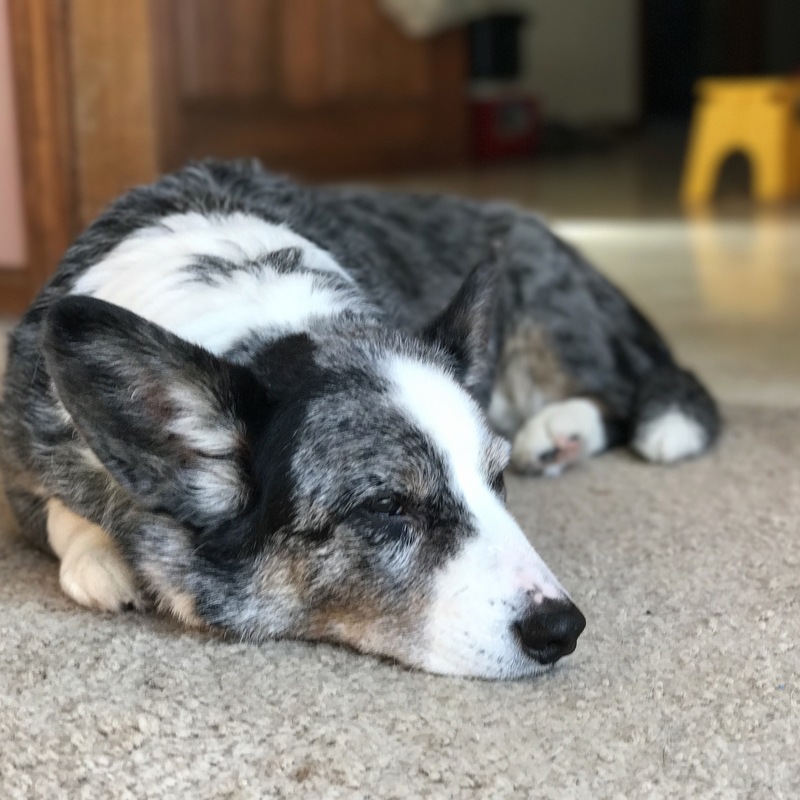 Darwin was more than a dog, as he showed us the way of the Cardigan Welsh Corgi with his tricks and sense of humor, as well as his skills and rugged personality. As he had started shaking uncontrollably and clearly didn’t recognize us anymore, my wife and I had to make a tough decision today. We guided our heart dog, Darwin, to the rainbow bridge and allowed him to cross it for evergreen pastures and lots of play with his friends. Our hearts are broken and we are inconsolable at this time. Our memories of Darwin will always stay with us. We have a canine family that is comprised of four Cardigan Welsh Corgis ranging in age from 3 to 15. They are a lot of fun, and they have it pretty good with us, as they will even get massages and chiropractic treatments. My wife trains our dogs to compete in agility, herding, obedience, barnhunt and rally. As long as they enjoy it, they get to compete. Our birthday girl is retired from competition and living the good life. Her name is Bette (Visions ‘The Marked Woman’), as she has Bette Davis eyes 🙂 The blue eye is a mismark in this coloration of the Cardigan, which is one of the reasons that we got her; we’re not big fans of breed shows, as for us it’s all about the dog having fun. On this St. Patrick’s day edition, I was looking to post an Irish Setter weaving through the poles in agility competition, but will have to table that one for a bit later, when I retrieve it. Looking mighty tough in the pirate collar, this expression was just one that I couldn’t resist photographing and posting today. I caught this candid moment during an agility competition, which reminds us that dogs of all sizes and breeds compete. Hope you enjoy this little cutie and have a great Saint Patrick’s Day! Shot with a Canon EOS 5D Mk III with an EF 70-200mm f/2.8L lens. Exposure settings were 1/80 second at f/3.2 at 640 ISO (light in this building is not stellar).